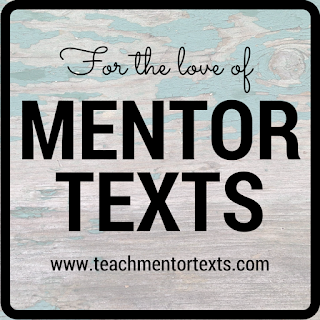 Welcome to our first post in the For The Love of Mentor Texts series I'll be hosting here at Teach Mentor Texts. I love to talk about the power of mentor texts to impact our writing but I've invited a few friends to share how they use mentor texts for a fresh perspective. Today I'm thrilled to share thoughts from Linda Baie who blogs at Teacher Dance. I hope you are as inspired by her ideas as I am! 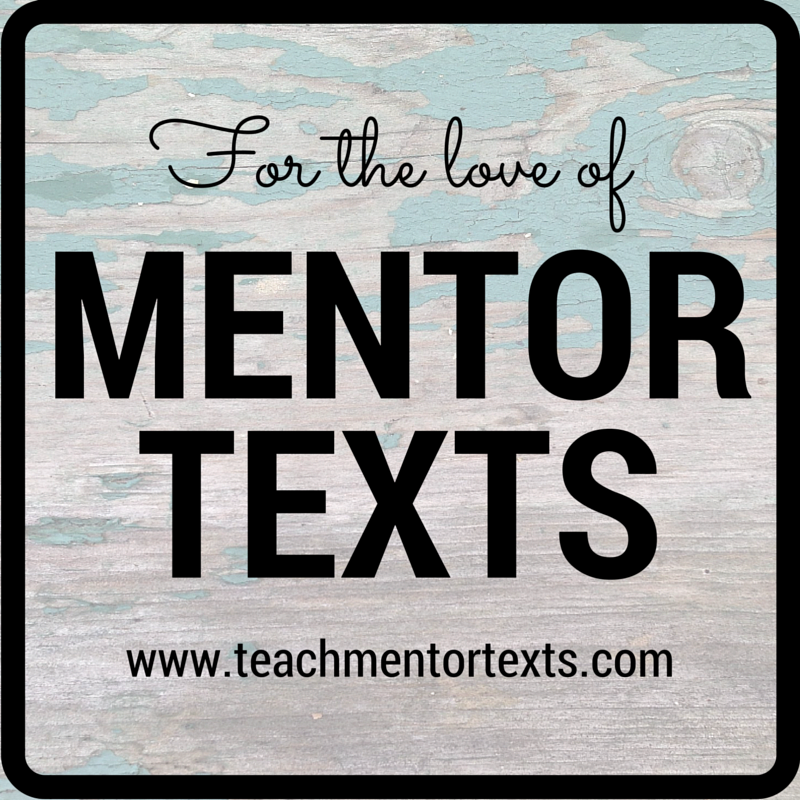 I’m honored that Jen asked me to write about mentor texts, and grateful to share some ideas from my teaching past. First, I want to mention that there are many wonderful PD books that help teachers find good examples, and to share a few that meant much to me through the years in addition to using my own students’ words and mine, too. If I were still teaching, I imagine Stacey Shubitz's book, Craft Moves, would become one I would use often, too. It’s about picture books as mentor texts, which I used through all my teaching days. This time, I’ll focus on one idea, and it was borrowed from a colleague long ago. At my school where I taught, each student chose a specific topic to study, called a unit, and with their beginning research input and mine, a curriculum was built around that topic. I taught a mixed grade of 6th, 7th and 8th grade students, but others in the school who taught younger children also used this idea sometimes. I used alphabet picture books that showed different approaches to writing some basic information about a non-fiction topic. Because artistic capturing of details and ideas was also an important component in all classrooms, this beginning assignment for students worked beautifully as a start in both art and writing for each research topic. Students were to research and create an alphabet book that showed the beginning of their learning. As the students worked, they also began to form questions to further knowledge. This will be something that can be applied to a whole-class study of a topic, with each student taking one or more letters according to the needs of twenty-six pages! Basic pages can be written and illustrated, but later support deeper research. This book not only entertains with beautiful pictures, but introduces poem forms and example poems. It helps writers choose what could be a good approach to including their research in poem form. Each page shows straightforward informational paragraphs, good practice in keeping on topic. What a clever book, that actually tells all about one topic, the muskox, but using a funny approach, allowing dialogue between the “writer” and an interrupting muskox. The pages show real things that are traditional alphabet words, like “A Is For Apple”, but adds that interruption with information about the topic (the muskox). For those students who want to know that writers take risks when delivering informatin, this is the book to show. This book adds another layer that might fit certain topics, it takes the alphabet through a year. Each page ensures that real information is included, like the fact that the Hare changes back to brown from white when spring arrives. It also shows how so much information can be included by only highlighting certain words. The OCEAN Alphabet Book - Jerry Pallotta and illustrated by Frank Mazzola, Jr.
Jerry Pallotta has written other alphabet books, too, but I find this one shows that he has tackled a large topic, but narrowed it down to only creatures that live in an ocean, except for the first page. If a topic is quite broad, first a student, or class, needs to narrow to a sub-topic in choosing something for each letter. In this book, the sentences are brief, a way to craft a book for younger readers. It would be good to compare this one to the butterfly book in studying the way information is given. This has been published since I was in the classroom, and it is wonderful. With many pictures of animals who start with each letter, Elisha Cooper challenges the reader to find the animal that’s presented “eight” times. It’s an opportunity for alphabet pages that have only vocabulary, perhaps for early readers? Elisha places a bit more information about each animal at the back. I’d like to take this opportunity to share another very recent book that makes me wish I was back in the classroom, in a writers’ workshop. Here is the post about Ideas Are All Around by Phillip C. Stead This book can be used in a variety of ways across ages, especially when searching for ideas to write about. Please find it, read and enjoy. I hope that you will take some of these ideas, use these books or find your own favorite alphabet books to use in the classroom. Thanks again for inviting me, Jen. Do you have any thoughts to share with Linda? Please add them in the comments! 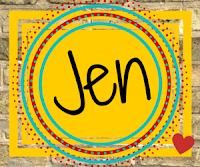 Linda, I was excited to see you here at Jen's site. Alphabet books at first seem easy, but in truth they can be very challenging to write. Thanks for all these mentor texts.